Come serve on our Mission’s team! Biltmore Church is partnered with Compassion International, involved in missions in Ecuador, Nepal and local outreach! Biltmore church wants to be involved in the greater Asheville community. Through our partnership with Compassion International we are assisting with the planting of churches across Ecuador. With every church comes a child development center with the ability to lift hundreds of children out of poverty. By partnering with Compassion our entire church is equipped to serve as global missionaries. This winter we have one of the most exciting and impactful events of the year! Over a thousand volunteers from all of our campuses come together to pack and deliver groceries, pray for, and share the Gospel with thousands of families in need in our community. See how God worked in the life of our church in 2018. Short-term mission trips are planned throughout the year to work with our international missionaries and mission partners. In these countries, we plant churches, train pastors, care for orphans and work with Compassion International. The goal of this ministry is to provide home repair services to people in our community who have fixed or limited incomes or are not physically able to do so on their own. This ministry meets weekly at multiple correctional facilities in Western North Carolina in order to make disciples of both men and women who are incarcerated. We work with National Partners to help provide relief and rebuilding teams with cities that have been affected by natural disasters. 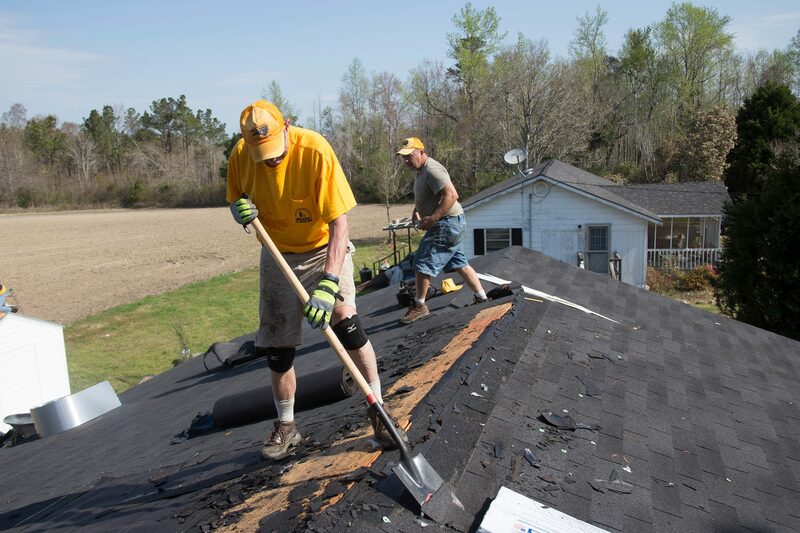 Biltmore will be taking several trips to provide help in rebuilding and ministry in Lumberton, North Carolina after they were flooded in 2016 by Hurricane Matthew & Hurricane Florence in 2018. We have many ministry partners in our local communities who serve in various ways: feeding the homeless, sorting baby clothes, helping families in need, and working with orphans. Throughout the year our Serve828 projects serve our local partners and community. Are you interested in serving locally, nationally or internationally? Fill out the form below and someone will be in contact with you as soon as possible.